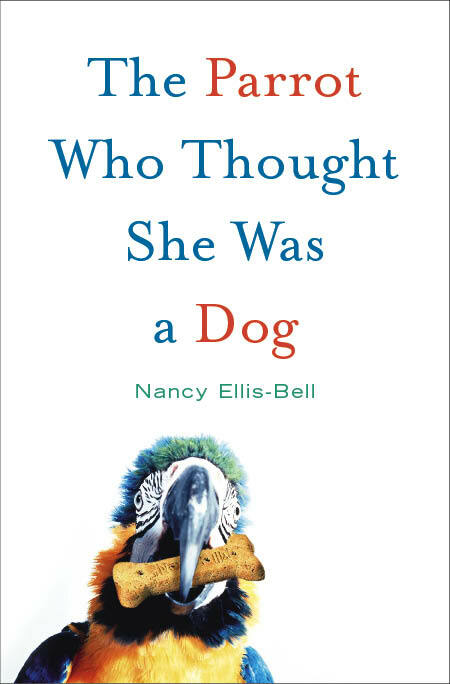 Nancy Ellis-Bell is a recognized literary agent, former professor and author. She divides her time between New York and her mountain home in northern California which she shares with two parrots, three dogs, fifty-one koi, and a husband who understands and accepts her passion for animals. A visit to her home is always an adventure since her birds are not confined to their cages, and are always interacting with both dogs and humans. 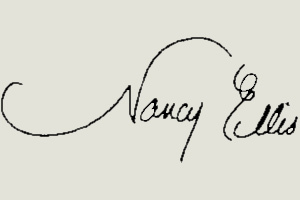 Phone conversations can be parrot-interactive, so most of Nancy's business calls are made from her office cottage or in her downtown office. Preparing meals is also an adventure, shared with all five animals who have become expert "tasters". Bird bathing is another kitchen-centered event; Will the scarlet macaw bathes in the sink, while Zachy the cherry headed conure bathes in a plastic tumbler held on Nancy's shoulder. Nancy gets a bath, too. An evening at home for Nancy and her husband reveals two humans and five animals sharing one, big sofa - all watching carefully chosen television programs suitable for excitable parrots and a highly vocal English Bulldog.